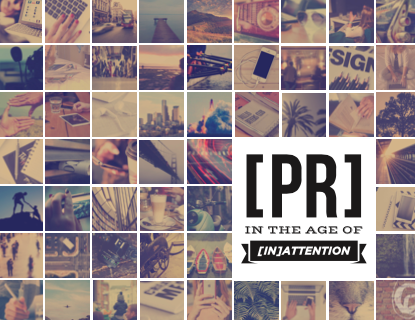 [eBook] 11 steps for gaining the right kind of attention. The tides are shifting and the impact is more tidal wave than gentle lapping at the shores of new territory. The job of PR today is more complex, faster paced, and more exciting than ever before. Lots of the rules have changed, in some respects old is new again when it comes to the tenets of good storytelling, and in others we’re cutting back brush and forging new trails. Download your free eBook copy by completing the form to the right.